Gaia Holistic Inc is a Not-for Profit Public Foundation under 501(c)(3), approved by the United State Federal Government. Its donations are tax deductible under the law. 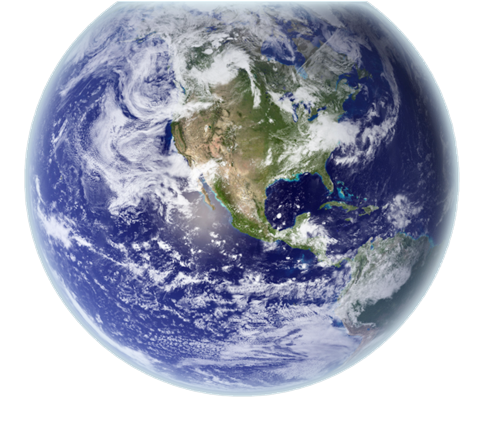 Gaia Holistic strives for the betterment and the happiness of all sentient beings on this planet, constantly working toward dispelling of suffering through various programs and teachings. Based on Ancient Japanese traditional healing coupled with modern science of Far Infra-Red, this modality helps to reduce stress and pain (shoulder ache, backache, stomach ache, headache, knee pain, joints pain, muscle pain, etc.) to improve conditions such as chronic fatigue, constipation, rheumatism, skin problems, sports injuries, diabetes, hepatitis, problems in various organs, cancer, stroke and depression. This therapy restores patient`s self-healing power. • KARENBUI: Kanren-Bui is a technique from ancient Japan, using relation points of the body to improve our vital energy flow. These points can be treated by adjusting the body posture and stretching movements by needle or finger press. • JOKAHO: By correcting body’s imbalance, one eliminates many illnesses & health problems. • SHUSEIHO: By correcting body’s imbalance, one eliminates many illnesses & health problems. • KIOKAHO: Exercise gives strong stimulation to deep brain, boosting basic functions of life-force. You will experience how this ancient technique work and develop lightness and balance our body and mind in our modern daily life. This treatment improves your health, creates natural mind and connects body and mind, felling your inner energy and life force. The Tibetan Medical tradition takes a holistic approach to health, drawing upon the Buddhist philosophy that life is part of a cyclical existence. A person is understood to be a composite of body, mind & spirit, with birth, old age, disease and death as a natural part of that existence. An underlying premise of the Tibetan system is that balancing energies with their related biological organs in the body results in good health. When in balance, one feels good, strong and has joy in his/her life and relationships. A graduate level of Meridian Therapy, A certified course. We also accept highly accomplished sensitive and intuitive healers of other modalities. You will learn many new aspects and approaches to healing. You`ll sharpen your intuition and learn how to develop and use mental intention to harmonize EXCESS and DEFICIENCY through unique Japanese Hari Methods of Tonification and Dispersion. Also, you will learn to identify the energy of connections and to find more effective points, specific to each individual patient. 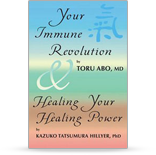 Dr. Tatsumura was born in the renowned family of silk, the Tatsumura of Kyoto, Japan. She was a celebrated international impresaria with exceptional pioneering contribution to advancing the global performing and cultural arts, producing performances for world leaders to commemorate events of global historical significance, bringing traditional arts from the east to the western world, and opening cultural exchange among countries with no diplomatic ties. Currently, she is a leading teacher and practitioner of Oriental Medicine, and an advocate for the integration of eastern tradition in health and healing into the contemporary health care system. She is the Executive Director of GAIA Holistic Circle and is currently working to open the true Holistic Health Retreat in Long Island, New York, where all holistic health of mind, body and spirit are studied and practiced. She has been residing in New York since 1962. 2003 Physician of the Year, Honorary Chairman, awarded by the National Republican Congressional Committee’s Physicians’ Advisory Board, in recognition of the top Medical Leaders in the United States. Honor Plaque for Specially Distinguished Service from the Government of France for contributing greatly to the development of international culture and religion (2002). Special Medal of Honor from Prince Fushiminomiya of theJapan Cultural Foundation in recognition of her contribution for the cultural promotion of Japan (2001). His Holiness the Dalai Lama, gave her the Tibetan name Tenzing Yanchen, for her work for the Tibetan people and their cause since 1973. She also received medals and honors from East Germany, Korea, Hungary and other countries. Princess Grace of Monaco reciting at the Beacon Theater with Prince Albert attending. Princess Grace was the Chairperson of the Concert Arts Society, a nonprofit foundation Dr. Hillyer established to save the Beacon Theater from demolition. Built in 1928 in the art deco style of the period, the Beacon Theater the only structure of its kind left in New York. On the occasion of the State Visit of Emperor Hirohito to the United States, at the return banquet for President Gerald Ford, she arranged the music for the Emperor, the President and guests. She was the only civilian Japanese invited to the banquet. In 1977, Dr. Hillyer created the Save the Boat People campaign responding to the challenge of refugees in Asia. She organized demonstrations at the New York Harbor on July 4, 1977 and at the Lake Geneva, Switzerland during the United Nations Emergency Conference on Refugees. She founded the International Festivals & Events Inc., a nonprofit organization, producing numerous benefits to raise funds and consciousness at the local, national and world-wide scale for the victims of war, earthquakes, flood, homelessness, domestic violence, drugs and AIDS. She initiated the concept of the United Nations Children’s Day, for the first time in 1977. She created the United Nations of Arts with the support of ambassadors from 96 of the countries of the United Nations providing the venue for an annual cultural presentation at the Beacon Theater in New York City. On the commemoration of the 300th Anniversary of German Immigration into the United States, she arranged the Carnegie Hall performance for President Ronald Reagan and President Kari Carstens of Germany, with Vice President George Bush Jr. also in attendance. On the launching of the First Lady, Mrs. Nancy Reagan’s “Just Say NO!” campaign against drugs, she arranged the performance of the Vienna Volks Opera at the Kennedy Center. On the celebration of the New York – Tokyo Sister City 50th Anniversary, she arranged the commemorative program at the Carnegie Hall. On the occasion of the first visit of Mr. Vaclaw Havel of Czechoslavakia to the United States, she produced the special New York appearance and T.V. production of the event with celebrities. In 1986, she opened the Gallery International 57 at 57th Street in New York City to promote emerging artists worthy of New York and worldwide exposure. Some of the exhibitions included: Overseas Artists from Japan, Russian in America, Graffiti Artists in New York, Young Waves from South America, Hampton in Winter, and Mystic Asia, etc. In 1992, she founded the Okido Holistic Health Center in New York and the Shinkiko Energy Healing – New York office. She began teaching Okido Japanese Yoga and Tai Chi, and practice energy healing work, and give lectures, radio programs and seminars on various holistic healing modalities. 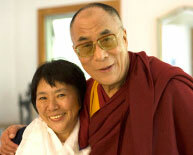 In 2001, she organized the first “Sunrise of Compassion,” a gathering at the Mt. Fuji, which has been endorsed by His Holiness the Dalai Lama to generate universal energy of compassion and love. In 2002, the gathering became part of the celebration of the “2002 United Nations International Year of the Mountains.” It has now become an annual international gathering happening annually on every last Sunday sunrise of July at Mt. Fuji,. See “Sunrise of Compassion” Website. In 2001, she founded the GAIA Holistic, Inc. in response to the tragedy of the World Trade Center terrorist attack on Sept. 11, 2001 to transform trauma, pain and suffering to a collective quest for holistic healing, health, and universal peace. She is now building a true Holistic Spa and study center at Long Island North Shore.